Competition chief believes new entrant will kickstart German 5G. Germany’s main competition administrator has called for the creation of a fourth mobile operator in the country, arguing this would kickstart 5G development and rollout in the country. Communications regulator (BNetzA) plans to auction 2GHz and 3.6GHZ airwaves in early 2019, with the ‘big three’ of Deutsche Telekom, Vodafone and Telefonica all set to participate. But according to Reuters, Andreas Mundt from the Cartel Office has concerns that market concentration means the major mobile operators have less incentive to invest in revolutionary new mobile technologies. He wants a fourth player to participate in the auction and also wants mobile operators to be obligated to open their infrastructure up to Mobile Virtual Network Operators (MVNO). Naturally, the ‘Big three’ have dismissed the proposals. They argue that if they were forced to spend more money on spectrum, they would have less capital to invest in infrastructure and Germany would fall even further behind in the race to 5G. They also claim that proposals to open up their networks would allow MVNOs to benefit from their investments without undertaking the same financial burdens, putting incumbents at a further disadvantage. Despite the approval of mergers in Austria and Ireland a few years ago, regulators have since shown a lack of enthusiasm for market consolidation – especially in markets where the number of operators has fallen from four to three. In 2016, the European Commission (EC) blocked the proposed merger of Three and O2 in the UK on the grounds it would damage competition in the market – a view shared by regulator Ofcom and the Competitions and Markets Authority (CMA). However, there is also concern that this strong competition and market fragmentation is putting Europe at a disadvantage when it comes to the global race for 5G leadership. Whereas US and Asian operators have less intense competitive and regulatory environments, as well as large populations to target, European operators have many rivals and smaller populations to contend with. 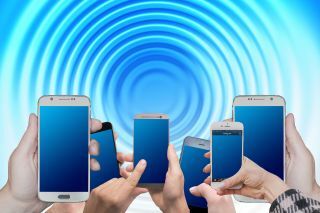 The UK has already held its first 5G spectrum auction and it is expected the first commercial services will go live in 2019 or 2020.